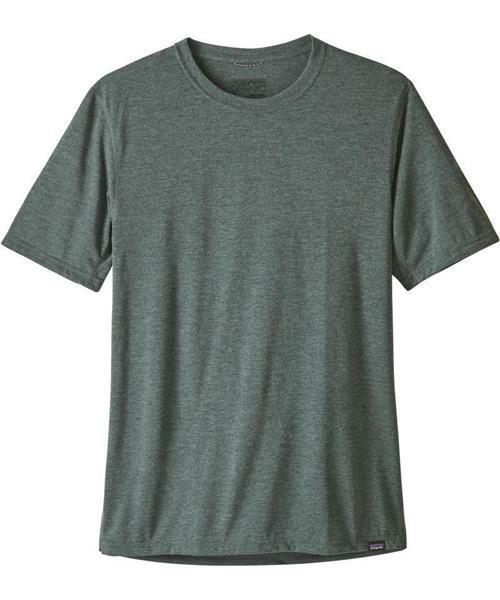 Patagonia designed Capilene® Cool Trail, their softest performance knit, to keep you cool and dry when you’re active, while providing day-long, next-to-skin comfort. Quick to wick moisture and quick to dry, Capilene® Cool Trail feels like cotton yet performs with the wicking efficiency of polyester for running, biking, travel or all of the above in the same day. Made of 4-oz 100% polyester spun jersey it has a soft hand, a light weight and Polygiene® permanent odor control so you stay welcome among friends at the end of the day. Details include underarm gussets for complete mobility and chafe-free comfort, a supple jersey-knit crewneck that wicks moisture and glides smoothly over skin, an internal locker loop for easy hanging, a tagless design that won’t itch your skin and a clean, snag-free woven label on the front-hem.